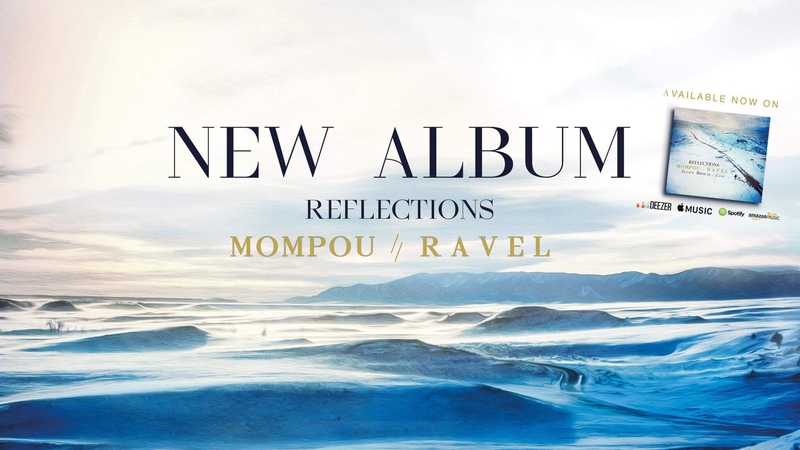 Julien’s new album Reflections takes us to the border country between Spain and France – the Basque region and the two great pianist composers from that area, Spaniard Frederico Mompou and Frenchman Maurice Ravel. The two composers never met but it is unlikely the shy, somewhat timid Mompou would have enjoyed the more flamboyant Ravel’s company. In many respects the two men were like the moon (Mompou) and the sun (Ravel) – shadows and light. However, their music works very well together in recital and they mirror one another very well. The great Catalonian pianist Riccardo Vines (1875-1943) is a direct link between the two men. He was the dedicater of Ravel’s ‘Miroirs’ and of Mompou’s ‘Charmes’. Julien Brocal plays the Istomin – Horowitz Steinway CD18, and the recording was made at the Tippet Rise Art Center, Montana.